Last Thursday was 「冬至」 (Winter Solstice). I’ve written about it before. 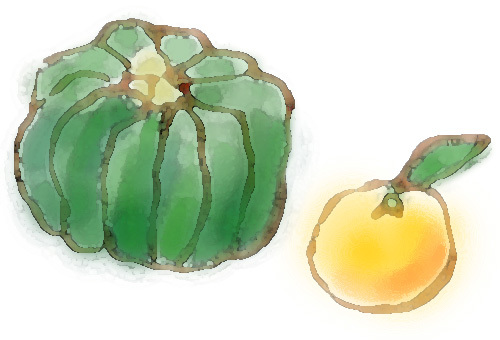 This is a day in Japan that pumpkins and Yuzu fruit are important for one’s health. Click here to read the post I wrote that explains more. And last Friday was 「天皇誕生日」 (the Japanese Emperor’s 78th birthday). 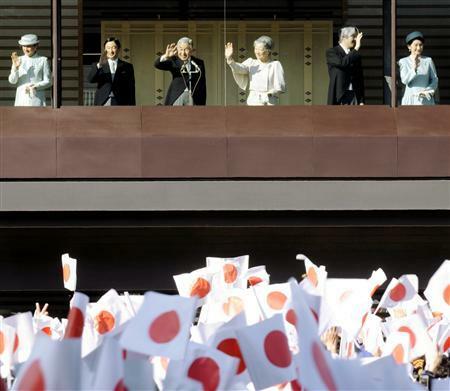 Members of the Japanese Royal Family, including the Emperor and Empress, in front of the crowd that came to the Imperial Palace to listen to the Emperor's birthday speech. 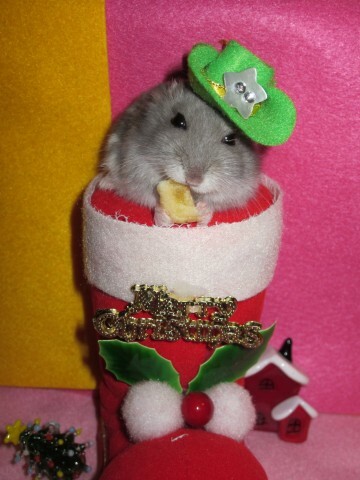 And today is 「クリスマス」 (Christmas). Yahoo! 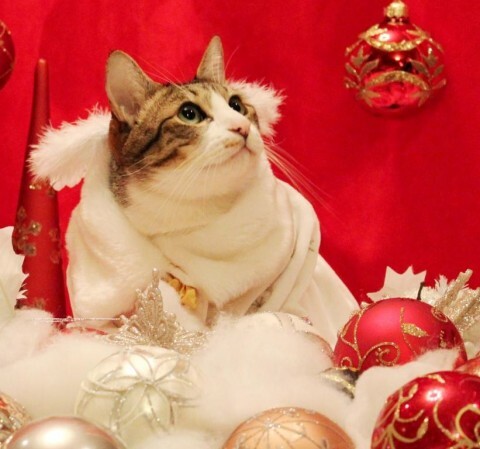 Japan is currently running the 「第4回クリスマスコスプレ・コンテスト」 (4th annual Christmas Cosplay Contest) for pets. 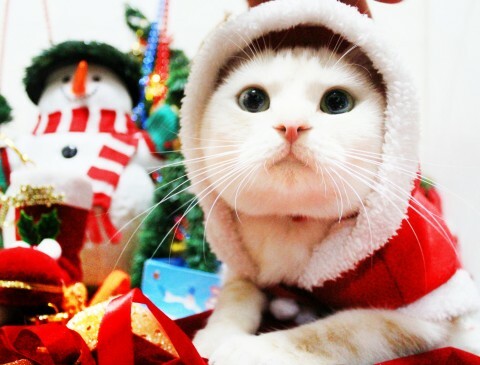 It’s a photo contest of pets dressed up for Christmas that Yahoo! Japan is running on their website. 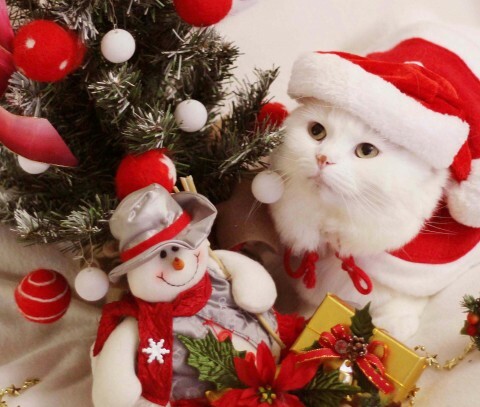 People can upload a photo of their pet in a Christmas setting and visitors to the site can vote for their favorite photo. I like this one a lot...but it's currently only at 390th place! 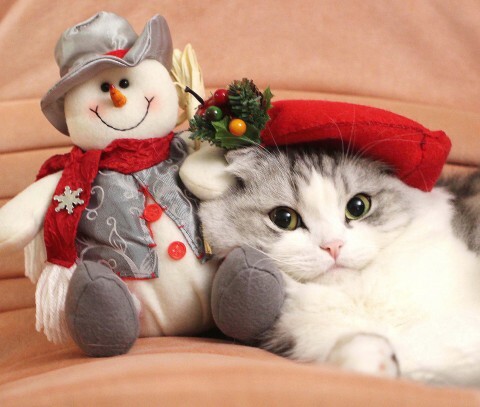 Last year, I wrote about another pet photo contest that Yahoo! Japan ran. Click here to see that post. And I also wrote a post about a popular Japanese parenting magazine’s funny “Crying Baby Video Contest“. Click here to visit that post. In Japan it is tradition to eat chicken for Christmas dinner and the most popular Christmas chicken in Japan is from “Kentucky Fried Chicken“. 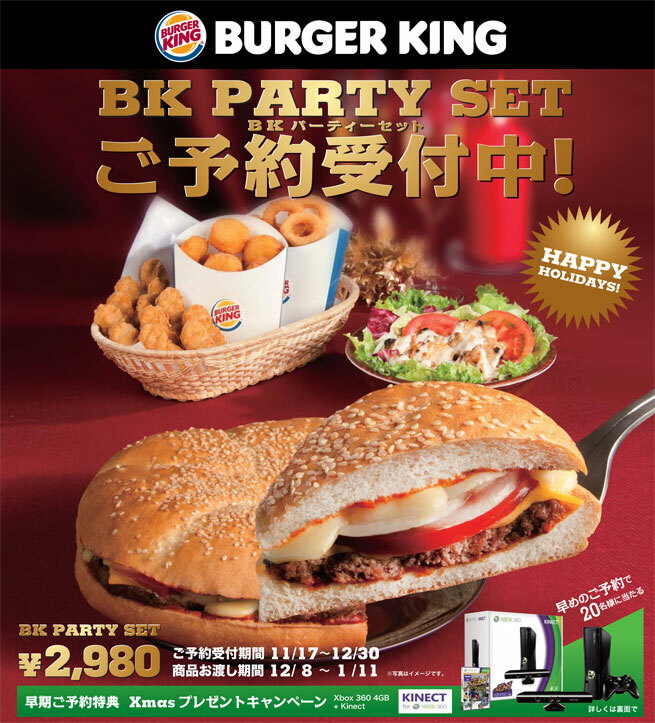 Other fast-food places try to compete with Kentucky Fried Chicken, Japan every Christmas…but, to Japanese people, “X-mas dinner = Kentucky (Fried Chicken)“. Click here to read the post I wrote that goes into more detail about Kentucky Fried Chicken for X-mas dinner in Japan. Well, this year, from December 3rd – 25th, McDonalds in Japan will be offering a X-mas chicken dinner set that they hope will help them take some of the lucrative Christmas dinner market away from Kentucky Fried Chicken, Japan. They’re calling it the “iCon’ Box“. X-mas Chicken dinner from McDonalds Japan. – and three cell-phone straps (“McDonalds” restaurant, “McDonalds” logo, and “Shaka-Shaka Chicken”). Orders for the iCon’ Box will be taken beginning on December 3rd so that the meal will be ready for Christmas dinner on the 25th. 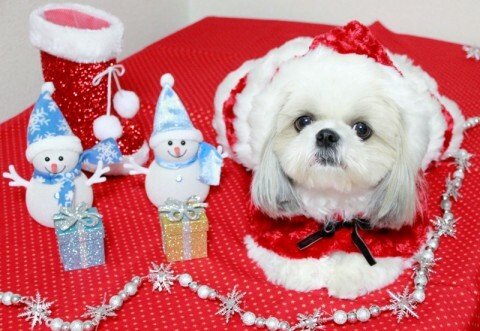 In Japan, Christmas isn’t a national holiday. If December 25th falls on a weekday then it’s just a normal workday in Japan. 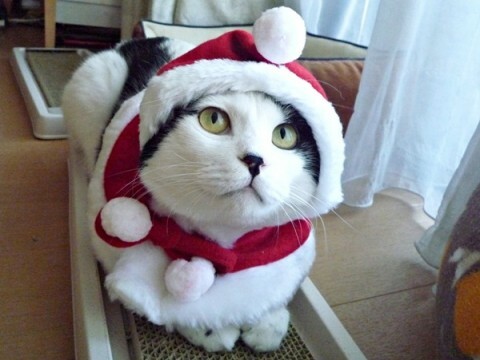 But that said, クリスマス (X-mas) is still a big holiday in Japan. 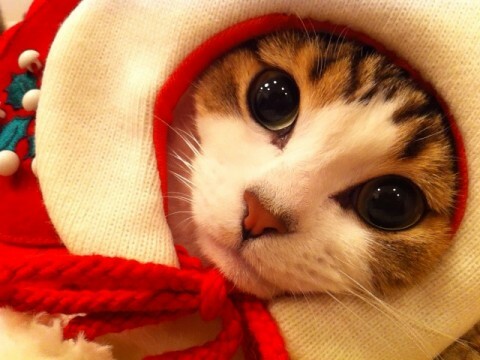 Not the biggest though…the most important holiday in Japan is 正月 (New Years). I wrote a post before that explains a bit about Christmas in Japan…and another one that explains a bit about New Years in Japan. 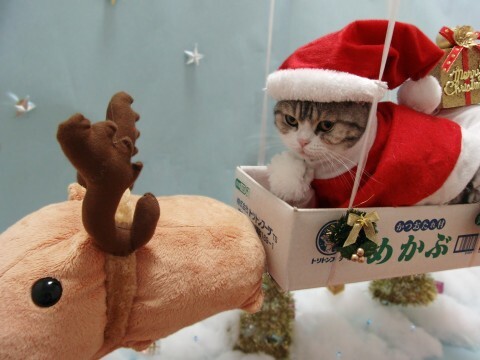 To summarize though, Christmas isn’t the same in Japan as it is in Western countries. Even though New Years is Japan’s biggest holiday, stores and streets in Japan put up X-mas decorations on November 1st (as soon as the Halloween decorations come down) and take them down on December 26th. On December 26th in Japan, the Xmas decorations are quickly replaced with New Years decorations which stay up until around January 5th. So Japan is decorated for the imported holiday of Christmas for fifty-six days but only about two weeks for New Years. Basically the image of X-mas in Japan is a romantic evening for couples on クリスマス・イヴ (Christmas Eve) and a day for families with children on クリスマス (Christmas Day). One of the popular dates spots for couples on and before X-mas Eve is to look at クリスマス・イルミネーション (X-mas lights (or, as they’re called in Japan, “Christmas illumination“)). X-mas illumination at "Roppongi Hills" in downtown Tokyo. There is a website that shows some of the best 「全国イルミネーション・スポット」 (Illumination Spots around Japan). One part of that website lists 「イルミネーションおすすめスポット Best 5」 (“Top 5 Recommended Illumination Spots”). Also, check out this post that I wrote with photos of the X-mas illumination at Tokyo Tower and in Roppongi, Tokyo. And also this one that I wrote about Omotesando, Tokyo turning the X-mas illumination back on last year after eleven years of not decorating. How is Christmas celebrated where you live? 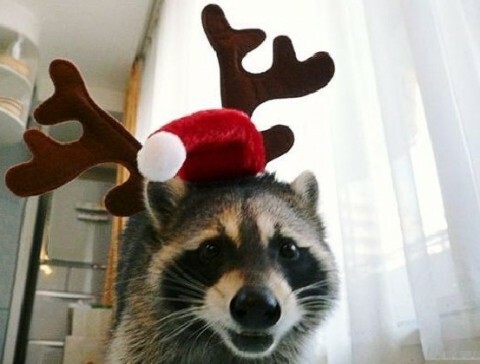 Are stores already decorated for X-mas? 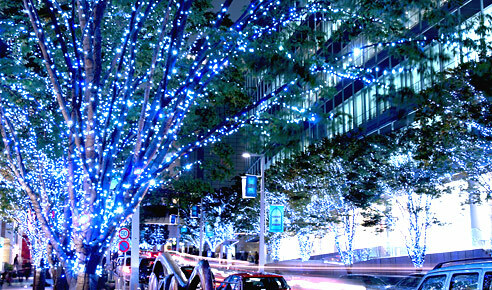 Is looking at 「クリスマス・イルミネーション」 (X-mas lights) popular?